This earthy red blend excites the senses with tobacco aromas and fig notes kissed with just a hint of star anise. Every year, based on the weather and land, we have different yields of various grapes. This 2017 Red Blend continues in its unique blend of five red red grapes. This dry but fruity red will wine is for when your group of friends or family gathers and you need somethng that will please everyone's tastes, this unique blend is the wine for you. Semi-Sweet and Fruity with berry notes. Serve as is over ice or with a splash of club soda and slice of lemon. Our take on the traditional red wine punch can be enjoyed any season. This refreshing party drink can be served over ice with a slice of your favorite fruit. A sweet, deep blush, red wine; candied cranberry on the palate for a sweet start and finish. A lighter, less sweet version of the original and well-loved Rénové. Bright ruby red fruit from the orchard makes this wine a delicate treat for your palate. A dry red wine blend: Merlot, Cabernet Franc and Cabernet Sauvignon; barreled in French oak. 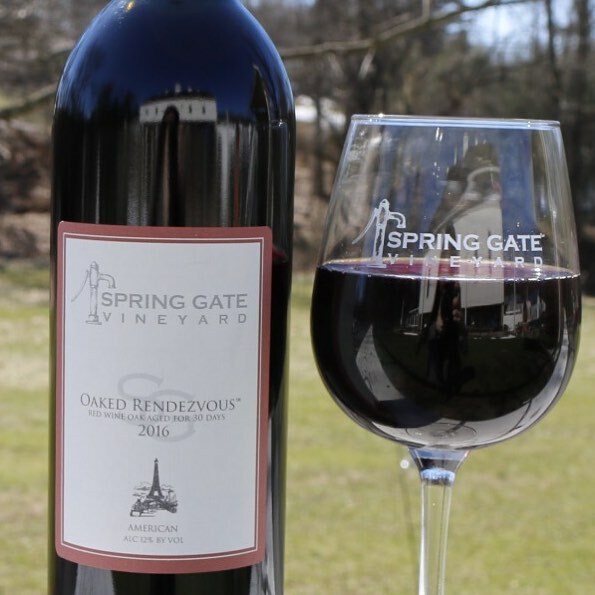 This dry, medium red is principally Cabernet Sauvignon with a kiss of Cabernet Franc blended in It is done in a more "weathered" European Vintage Style letting our Eastern Terroir express itself. This is a uniquely piquant wine with its surprisingly pleasant peppery, tannic finish (2015). This dry wine will add spice to your life with black licorice and clove on the palate. Rich tannin and oak round out this full bodied red. 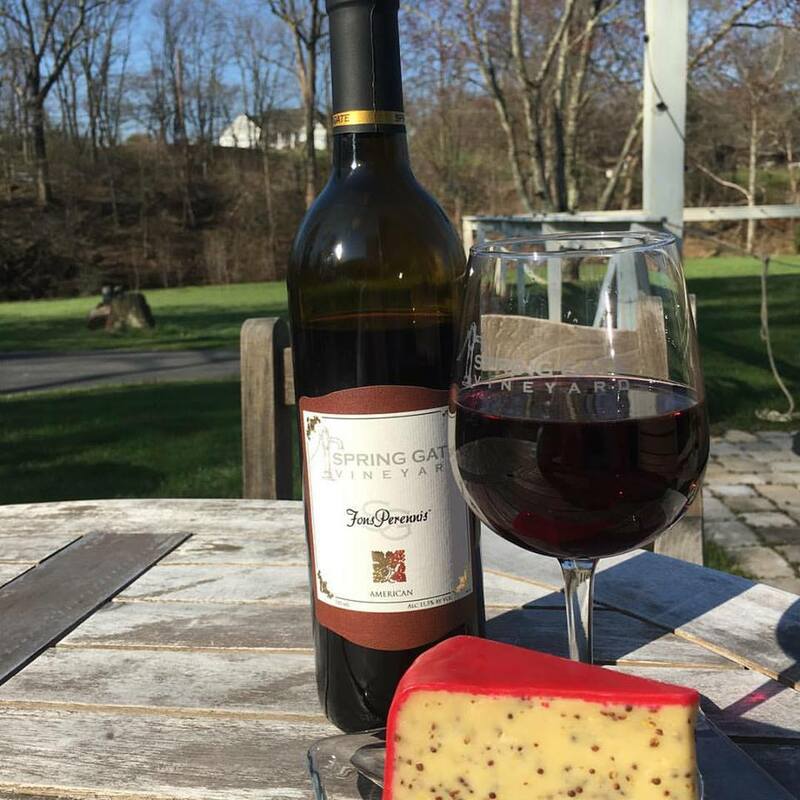 Smooth, with black cherry aroma and plum on the palate (2014). 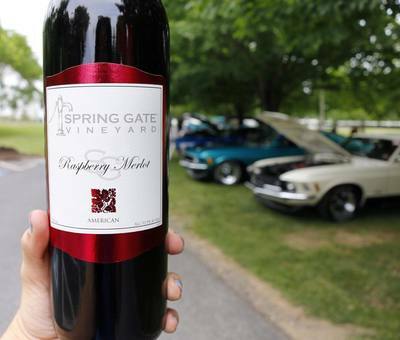 This Merlot is lightly aged in French oak barrels, a pleasant combination of currant and black cherry. Plum on the palate at first sip, and soft tannins round out the finish. 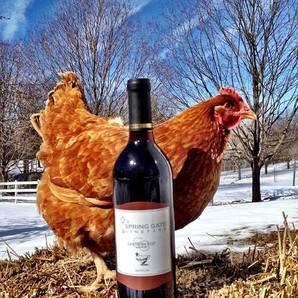 This red wine loves to complement red meats both sweet and savory. Our raspberries mingle beautifully with our Merlot to create a fruity sweetness that should not be enjoyed alone. It's a social drink that should be paired with lots of chocolates. A dry red French Bordeaux blend (oaked), Merlot forward, roasted coffee with a mild earthiness. A dry red table wine, made from a grape originating in the Loire Valley of France. A sweet red wine that is a unique blend of Concord and Corot Noir. 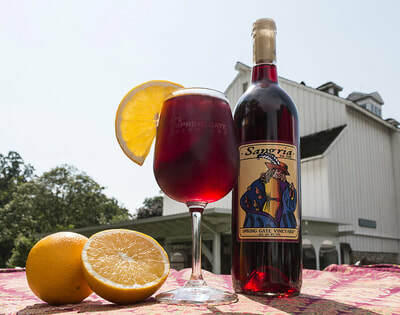 A fruit forward sweet wine. Though deep purple, this off-dry redis not as big or bold as the color suggests. Fresh fruit flavors and soft smooth tannins make this a very approachable wine. Classic and food friendly, with notes of cherry and spice. Medium-bodied wine bursting with fresh, sweet fruit flavors. ​An Off Dry slightly peppery blend of Noiret grapes with a kiss of Chambourcin. 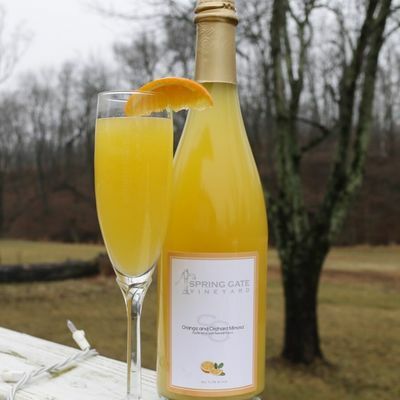 A drier, more traditional Mimosa made with one of our favorite Germanic white grapes and orange juice. Sparkling apple wine with orange. 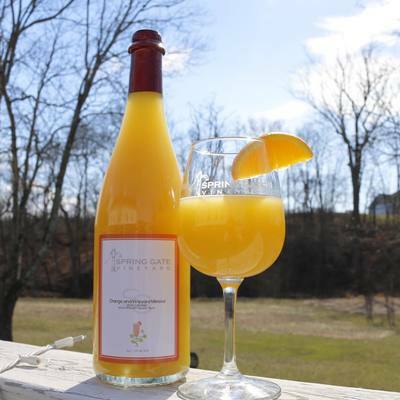 Sparkling apple wine with Blood orange. 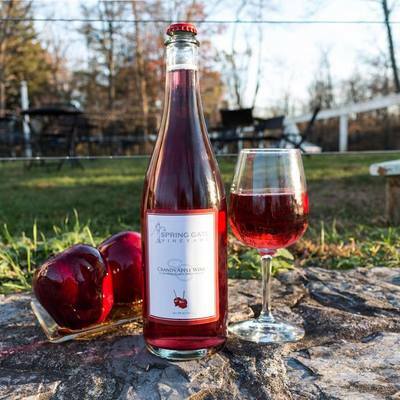 Sparkling apple wine with pomegranate. 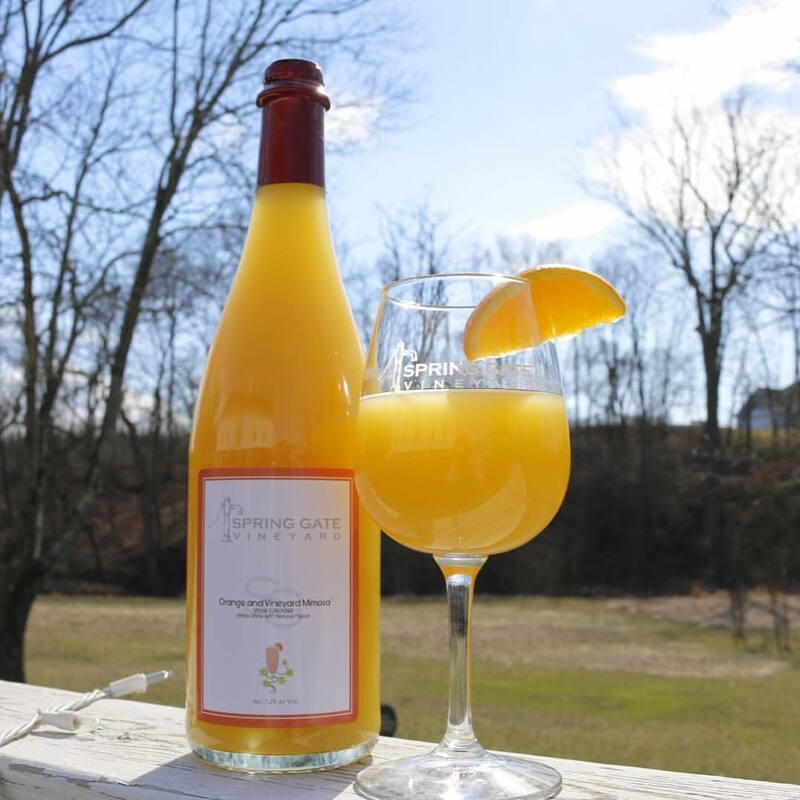 Sparkling apple wine with mango. Dating back to over 11,000 years, mead is the oldest fermented beverage that is thought to be derived from a rainwater folded beehive. This unfiltered traditional mead, made with locally sourced wildflower honey, is our take on that ancient beverage. A gentle and sweet wine. Traditional German style with a crisp finish. A wine for fine wine lovers - dry and crisp. 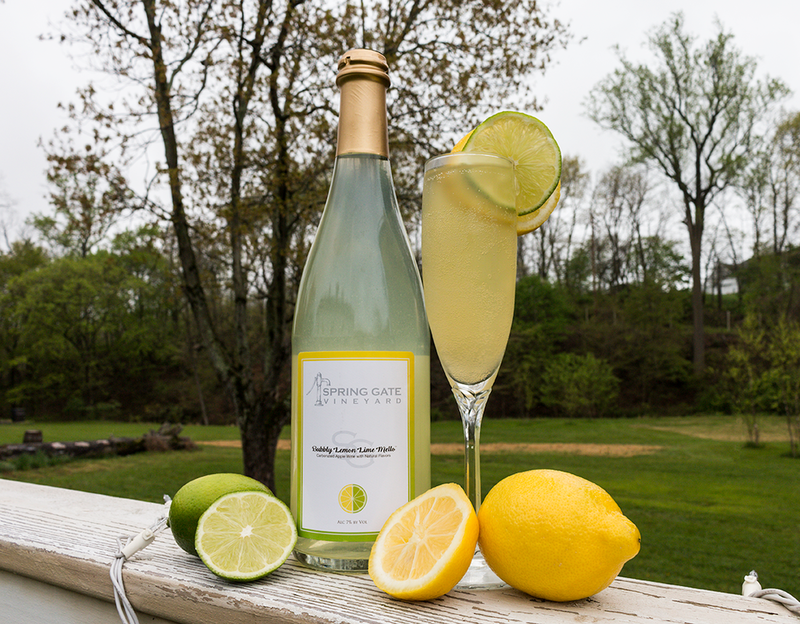 With notes of orchard fresh pears and apples, this dry sparkling wine is the perfect pair to toast any celebration. A classic, dry and un-oaked. Lightly oaked, fresh stone fruit on the first swirl, then a citrus finish. 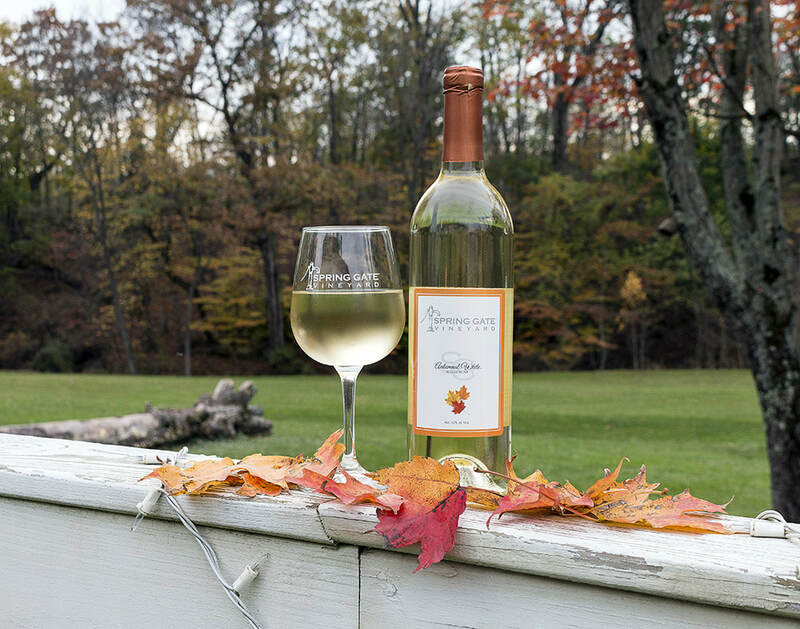 This clean and balanced dry white wine hints of ripe stone fruits laced with floral notes of honeysuckle. 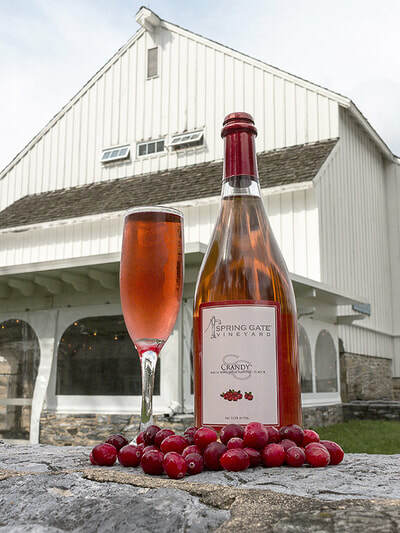 A lively blend of crisp apple and tart cranberry, this still wine is the perfect treat to share while relaxing with friends. 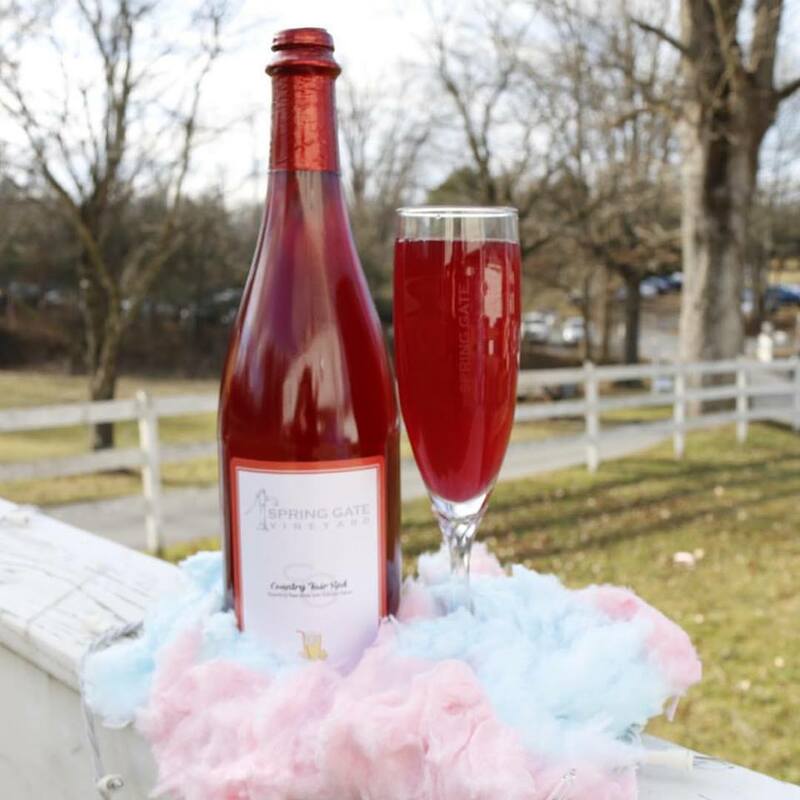 An adult version of your childhood favorite, this deliciously sweet cranberry infused wine will awaken treasured memories. 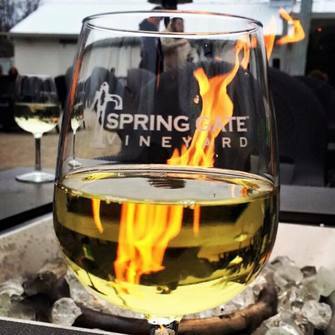 A blend of Traminette and Vidal Blanc with a crisp, tart, fruit-forward finish. 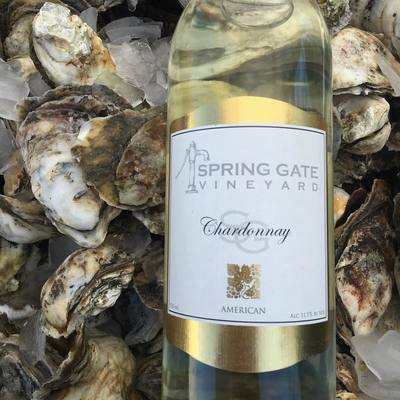 This off-dry blend of noble white European grapes of Chardonnay and Riesling creates a unique combination. This off-dry blend of noble white European grapes of Vidal Blanc, Chardonnay and Riesling creates a unique combination. 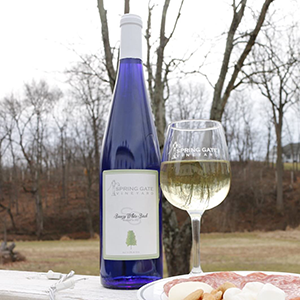 With tropical fruit notes on the nose and palate, this delicately mild white wine is best served chilled. Floral aromatics, stirring the memory of a lazy afternoon walk through a wildflower-filled meadow, are complemented by tropical fruit notes in this dry white wine. 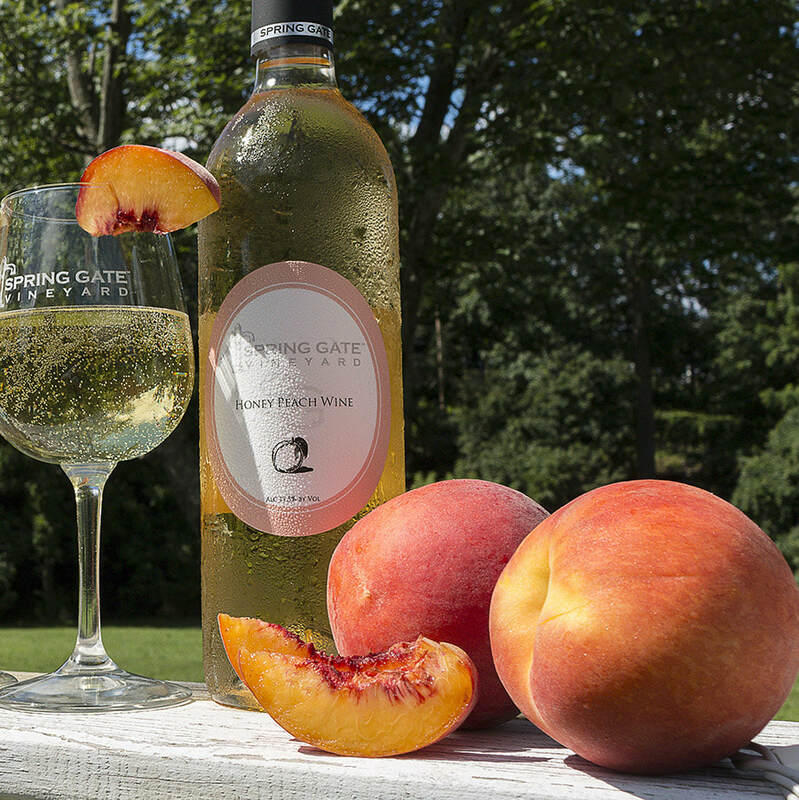 This delicate wine is light and refreshing with fresh peaches on the palate lingering to a pleasant finish. Reminiscent of all the flavors you expect from freshly harvested blueberries grown in the backyard, this fruit forward wine embraces your palate to create a smooth finish and lasting memory. 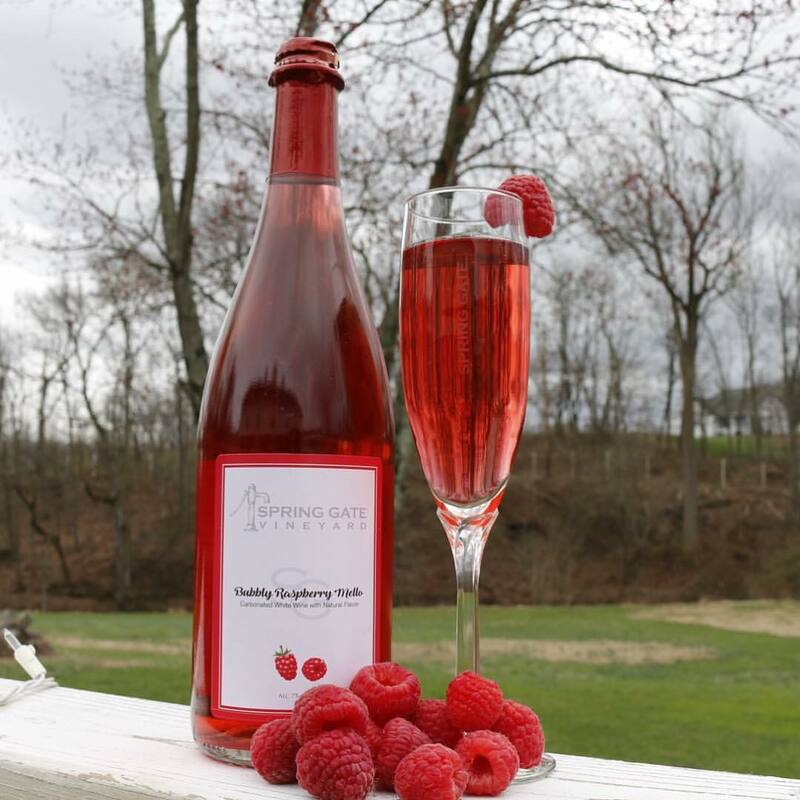 With the sweetness of freshly picked strawberries from your local patch, this fruit forward wine exhibits ripe, juicy fruit on the palate. 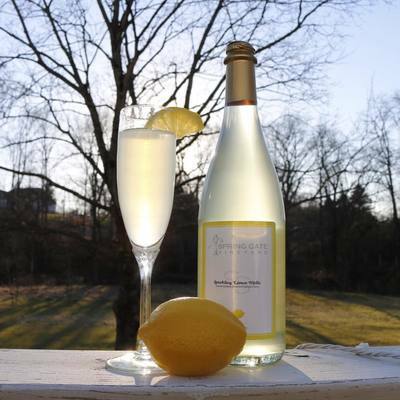 This slightly sweet fruity wine will dance on your palate for a delightful experience. 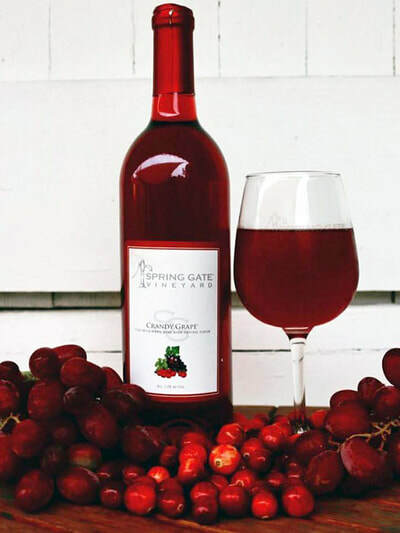 This delightful garnet beauty, with jammy notes of crushed berries and a hint of spice, is a perfect sipper for any season. 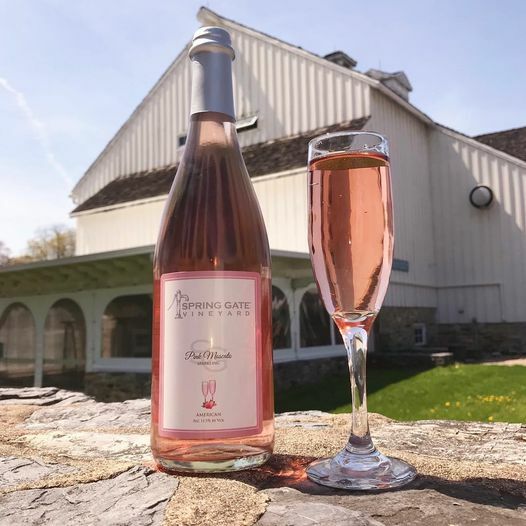 An off-dry Rosé. Crisp with delicate floral aromas and a hint of citrus. Notes of sweet peach and strawberry. With pink sapphire hue, this blush wine coats the palate with its sweetness and ends with a light citrus finish. Classic Italian Style Frizantte with lots of fruit. A sweet, fun wine that goes back 150 years. A sweet, fruity deep blush red wine. 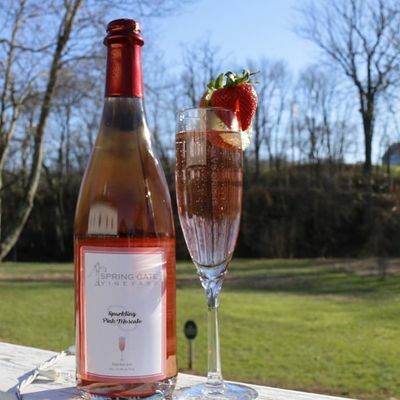 Sweet and floral in scent, this wine carries you to the start of summer, while the juicy strawberry and kiwi notes bring bright fruity flavor to your taste buds. A sweet, sparkling, fun wine that goes back 150 years. 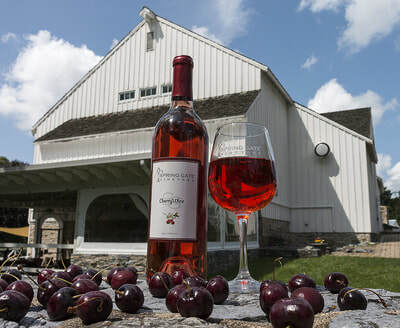 Full of the flavor of bountiful cherries harvested at the peak of ripeness, this wine's appealing tartness contrasts nicely with the natural sweetness. Wine for 2 is our crown capped 375ml bottle used for carbonating wine. Note: A 10% discount applies to case buys. ​CARDING POLICY: It is Spring Gate Vineyard & Farm Brewery's policy to verify proof of age (carding) prior to selling any alcoholic products. Aside from being a good community policy that is being increasingly embraced by holders of alcohol licenses, this policy reflects some of the most severe, and complex laws in the nation. 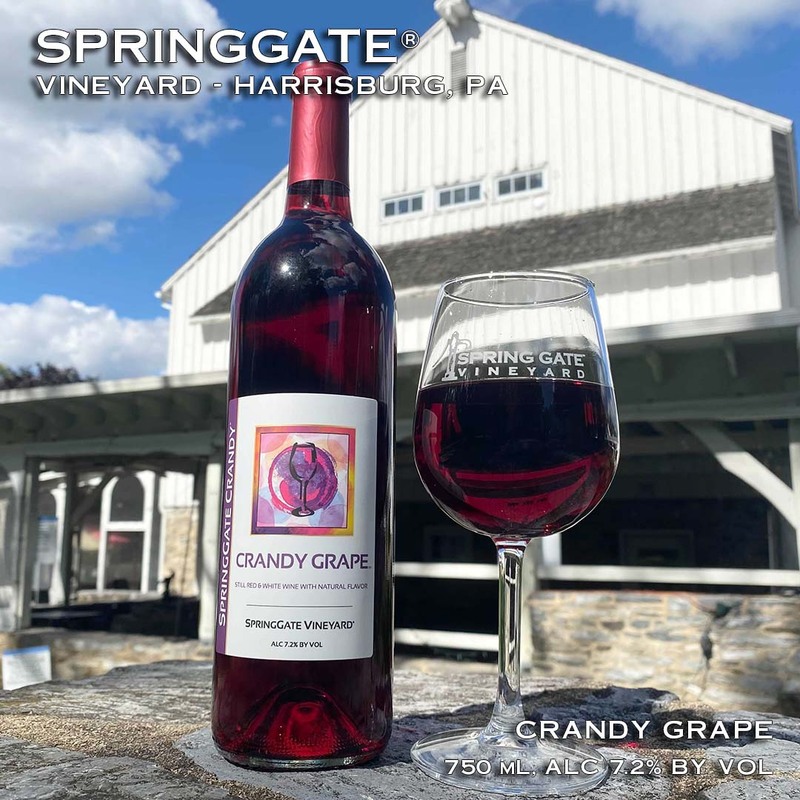 Pennsylvania's regulations are both seriously enforced and, for wineries, different than the regulations of other retailers in the state.